In a large bowl, combine all the chopped ingredients with the grated garlic clove, olive oil, salt, and pepper. Mix well and serve immediately or chill in the fridge for a few minutes to let the flavors infuse. 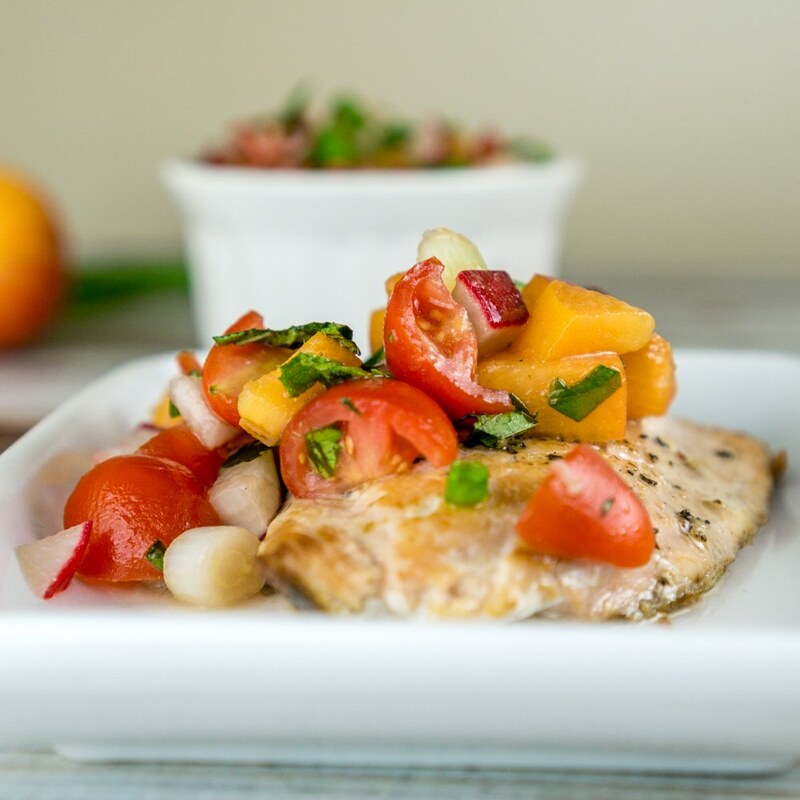 Serve this Tomato Apricot Relish over pan-seared salmon. To cook the salmon, season it with salt and pepper, heat 1 tablespoon olive oil in a large pan and cook the salmon 2-3 minutes per side, or until desired doneness.